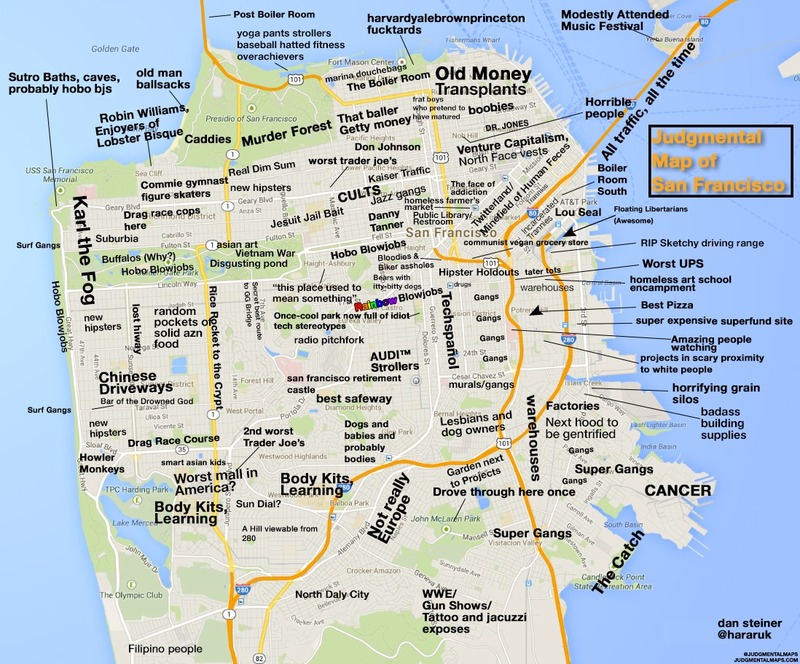 I’m sure you’ve all seen the Judgemental Maps of San Francisco by now. 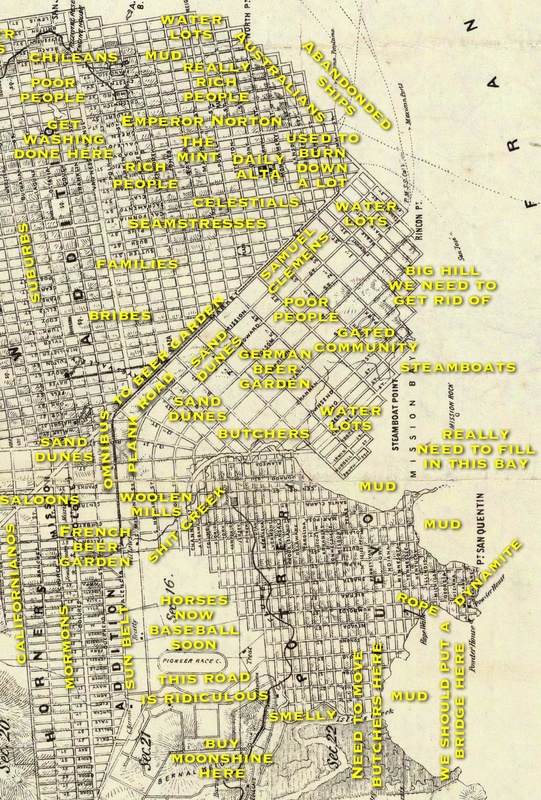 Anyway, here’s my attempt, but it’s based of the 1861 Langley map of San Francisco (click to zoom). Thanks to @mizmay, @DnomadB and @bradvertising for helping judge the 1860s. At some point other that now, I will go through and link to all these references. Please phrase all comments as if you were posting from the 1860s. UGH! 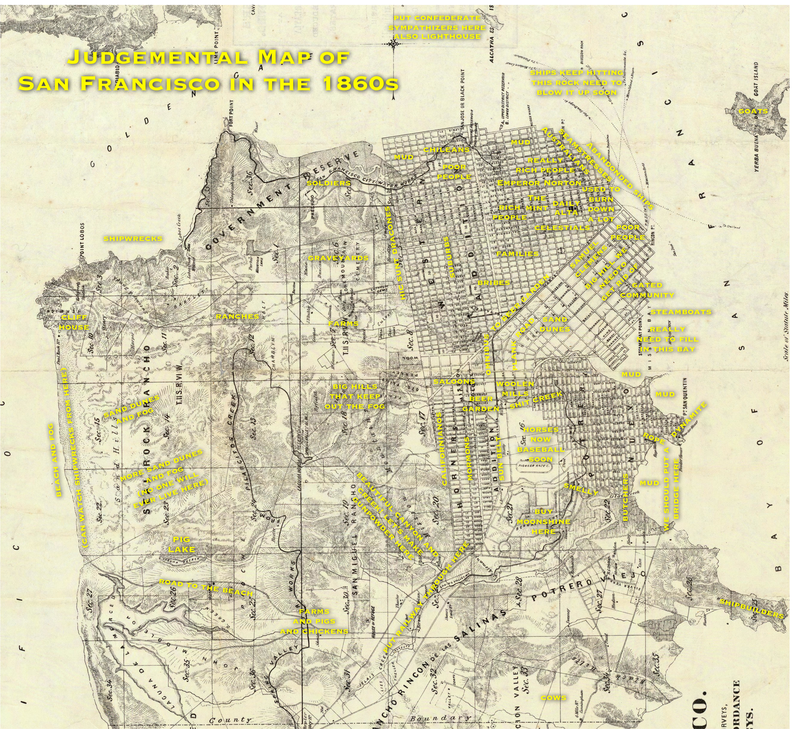 The proposed railway southeast of the canyon will DESTROY the area! Where am I supposed to grazy my billy goats if they put a gash in the hill and separate it in two? ?